4K X-Maps are actually two products in one. 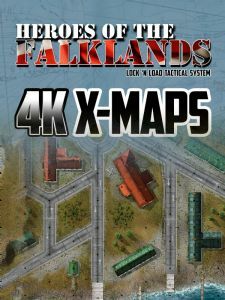 X-Maps bring the Lock 'n Load Tactical series games to a grander scale, with a substantially larger plying surface and hexes that are nearly double those of the standard maps. In comparison, X-Maps are 11" x 17" as opposed to the 8.25" x 12.75" standard maps. What Does the 4K Element Add? The 4K element brings an enhanced style to complement your Tactical series game. Using a minimal hex grid, augmented with new custom terrain and buildings, these maps immerse you in the action with a fresh new look and feel. Extra maps have also been added with corrected terrain features, replacing those that require certain terrain for some scenarios. No longer do you have to imagine that Bocage are hedges, or buildings and rice paddies are clear terrain, we've taken care of that for you. This package includes all the original game maps customized in this new style, along with the corrected maps and a list of the scenarios they are used for. Immerse yourself in the 4K experience today! Heroes of the Falklands is required to use this product. Since its inception, the Lock ’n Load Tactical Series has been defined by two things: its innovative rule set and its engaging scenarios. What are the X-Maps you ask? 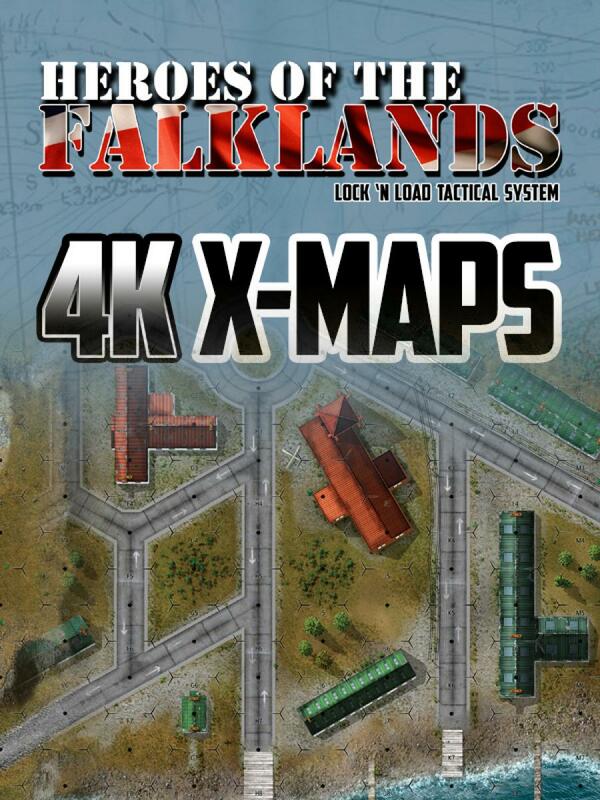 X-Maps simply put are larger maps able to be used with our Lock ‘n Load Tactical game series.